Today, the Information Technology Infrastructure Library® (ITIL) is very commonly used in the IT industry for IT Service Management. It is strongly promoted by the service management industry experts. In 1980, the need for ITIL was perceived by the industry and the first version of ITIL came into existence. Since then we have had 3 versions of ITIL, with the last ‘version3’ released in 2007. When looking at the trend of ITIL implementation, we find that a big group of IT companies are implementing the ‘version2’. This is the group which could vision the advantages if ITIL earlier on, i.e. before the advent of ‘versio3’. Later, an equally big group either implemented or migrated to ‘version3’. However, like it recently happened to me, in a project meeting a client who was implementing ‘version2’ came up with a question; “What is the difference between version2 and version3?”. Let me confess I was caught off-guard and could not reply anything substantial. This is a very logical question, I am sure you all must have also faced it at some point, as it regularly comes up in various discussions and presentations or while deciding to upgrade our Service Management. I tried looking up in various books and material published on the net, but there was not much available. The only information available is detailed descriptions or discussions on specific versions. At this point I perceived the need for coming up with a high level summary of both the versions. This Article has been written to help you understand the broad difference and an insight into the latest version. Here I am trying to discuss and compare the high level differences between the last 2 versions, i.e. 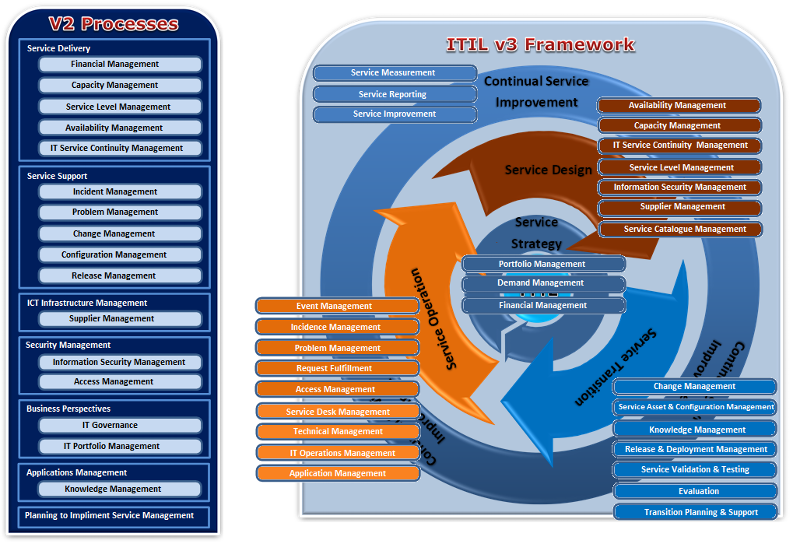 version2 vs. version3; I hope you will find it a good reference for your own ITIL journey. The information presented below has been inspired from various websites, courses and publications. I have included a general reference section at the end of this article. I guess these links would provide you with the additional information you need for a successful adoption of the ITIL standards. So, first off, what is ITIL? From the ITIL website http://www.itil-officialsite.com we are told: "ITIL® is the most widely accepted approach to IT service management in the world. ITIL provides a cohesive set of best practice, drawn from the public and private sectors internationally." The need for the ITIL was perceived by the end of the 1980s. The British government realized that the quality of IT service provided to them was not satisfactory. Hence it commissioned the Central Computer and Telecommunications Agency (CCTA) to develop a framework for efficient and financially responsible use of IT resources within the British Government and the Private sector. The CCTA started working on the task by collecting and studying the best practices followed across the industry for achieving better quality and simultaneously decreasing their costs. The objective was to develop effective and efficient methods for the provision of IT Services. The CCTA finally came up with the ‘ITIL v1’ for Government IT operations in UK. It was formally called “Government Infrastructure Management Method (GITMM)". It was a compilation of methods and best practices for Service Level Management. It promoted the philosophy of making IT Service Management strictly focused on client needs. It clearly defined the roles & responsibilities for within the IT organisations and the IT processes. The 1990s was very promising decade for ITIL. A number of major organisations and government agencies in Europe adopted the ITIL framework. ITIL very rapidly gained popularity, both in the UK and across the world. However at the same time, IT itself was changing and evolving fast. Hence the ITIL also adopted the momentum and evolved. ITIL had initially started with just 4 publications in v1; Service Level Management, Help Desk, Contingency Planning, and Change Management. However, keeping pace with the growing popularity and the industry changes, ITIL also kept growing and added more publications in the year 2000. During the same period in 2000 - 2001, the CCTA merged into the Office for Government Commerce (OGC). Envisaging the importance and utility of ITIL, Microsoft also used it as a basis to develop their proprietary Microsoft Operations Framework (MOF). 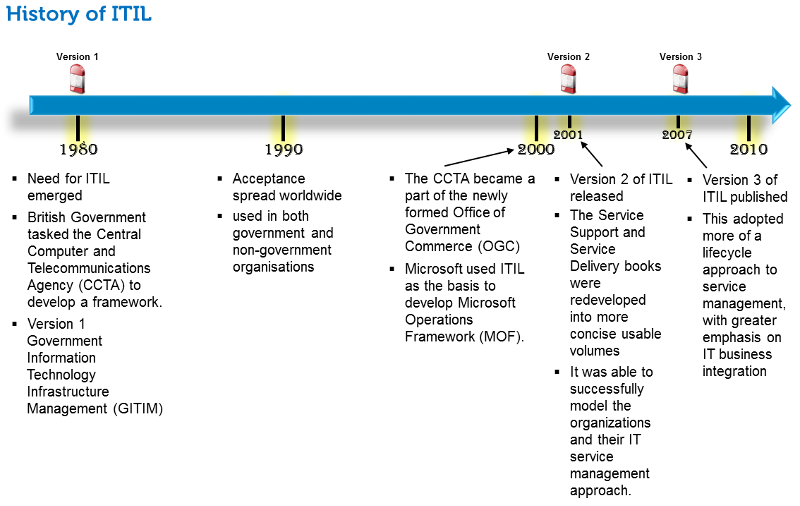 This rapid growth of ITIL, lead to a new release of ‘ITIL v2’ in the year 2001. OGC made significant improvements to the original ITIL publication to reflect the new developments and changes in the IT services industry. The Service Support and Service Delivery books were redeveloped into more concise usable volumes. Finally in May 2007, OGC came up with the release of ‘ITIL v3’ that we have today. The ITIL v1 and v2, which had a focus around service support and delivery, expanded its scope in v3 to adopt more of a lifecycle approach to service management, with greater emphasis on IT business integration. The publications were revamped to 5 core ITIL books, that covered Service Strategy, Service Design, Service Transition, Service Operation and Continual Service Improvement. Today, IT Infrastructure Library (ITIL) provides a framework of “best practice” for IT Service Management and is the most widely used and accepted approach to IT Service Management in the world. 1) Though all the main processes as in ITIL v2 are still there in v3, many of them have been revised and enhanced. 2) Many new Processes and Functions have been added. to - “A Life Cycle approach to Service Management”. Basically the V2 process areas have been logically grouped into a phased lifecycle approach. 5) In contrast to ITIL v2, ITIL v3 clearly defines the roles and responsibilities in each process and reasons the role of communication in the entire lifecycle. There was a considerable change in the framework between v2 and v3. There was an absolute change in the philosophy. Also the process were reorganized, enhanced and completely new processes were introduced. The ITIL v2 framework was heavily process-focused. It was built on the philosophy of “Modeling the organisations and their IT Service Management approach”. All the processes were derived from the best practices in the industry and simply aimed to provide efficient and cost effective use of technology for the business. 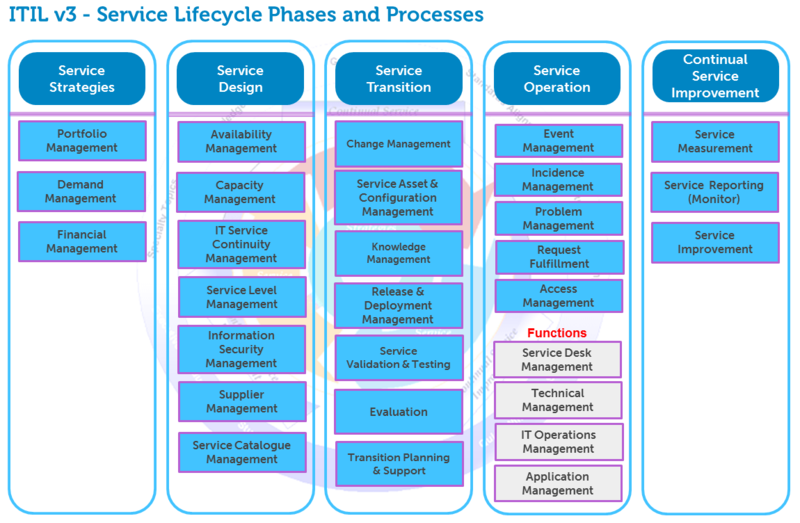 In ITIL v3 framework the philosophy of Service Management was changed to “a Life Cycle approach”. ITIL v2 covered “What” should be done in Service Management. 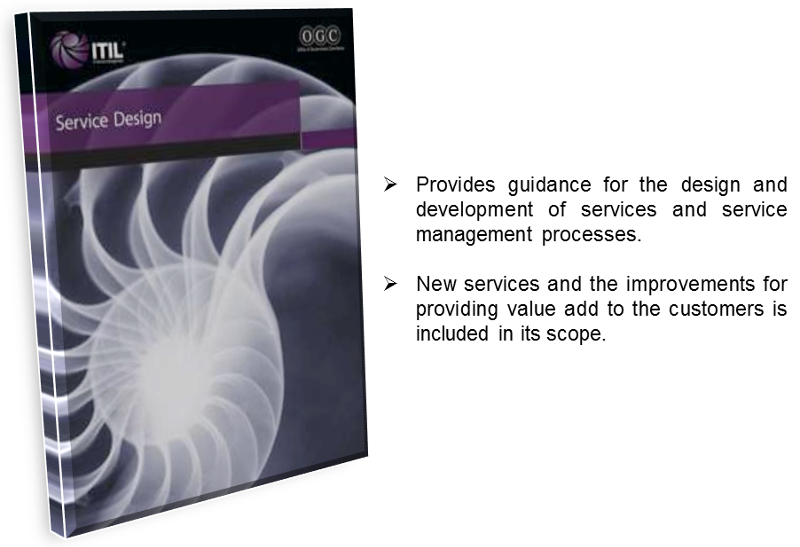 In contrast, in ITIL v3 the change to the “Life Cycle approach” was done with the intent to provide the guidelines as to “How” Service Management should be done in various processes. Below I have tried to map the processes between ITIL v2 and v3. In ITIL v3, the key concept of all the existing processes is preserved. The existing processes have either been transferred as they are, or simply enhanced and reorganised. Besides, some new processes have been added to scale up to the current business standards and requirements of IT Industry and Service Management. 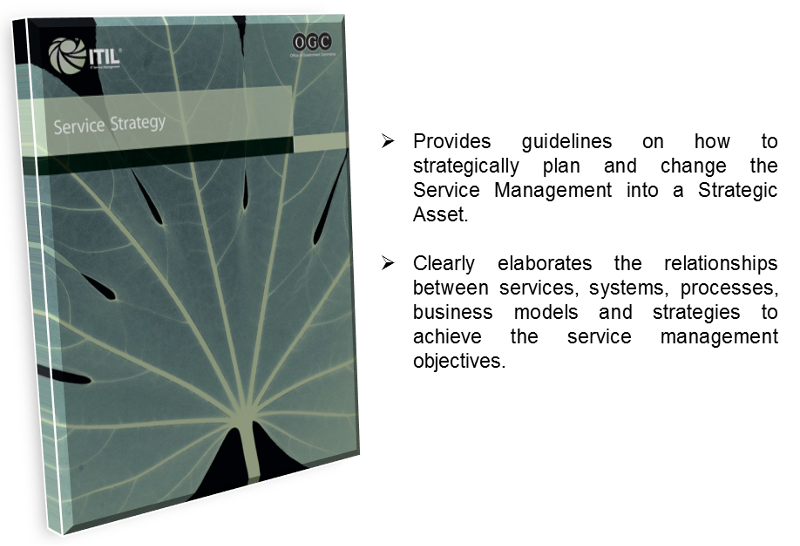 The Service Strategy Volume provides guidance on how to design, develop and implement service management, not only as an organisational capability but also as a strategic asset. - Essentially, the activities and process objectives of the Financial Management process are identical in ITIL v2 and v3. - The only difference is that Financial Management was part of Service Delivery in ITIL v2. - ITIL v2 discussed concepts of Demand Management within the context of Capacity Management. - However ITIL v3 introduces the process of Demand Management as a distinct process and as a strategic component of service management. - Managing services as a portfolio is a new concept in ITIL v3. 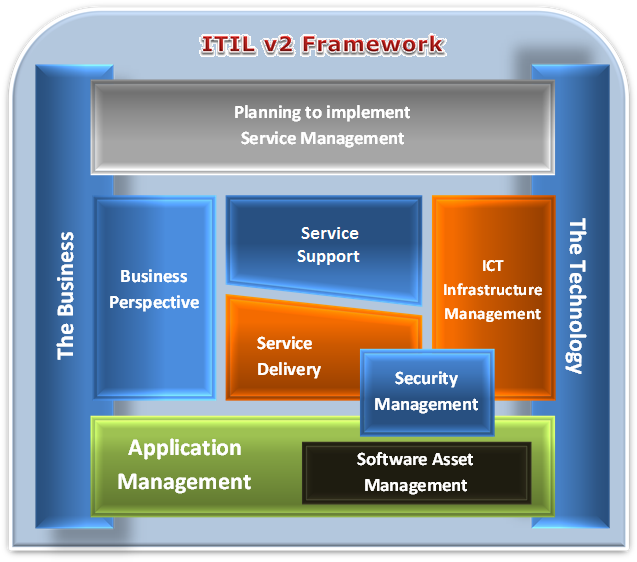 - ITIL v2 only discussed Service Level Management. - ITIL v3 takes this concept further, introducing strategic thinking about how the Service Portfolio should be developed in the future. 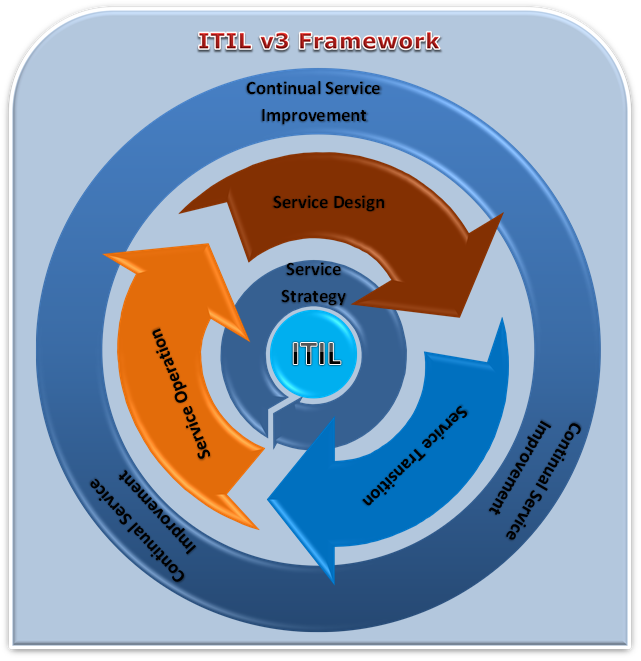 - ITIL v3 represents a fundamental rethinking of services, recognizing the need to conceptualize and identify a portfolio of services before dealing with the specifics of levels of service. 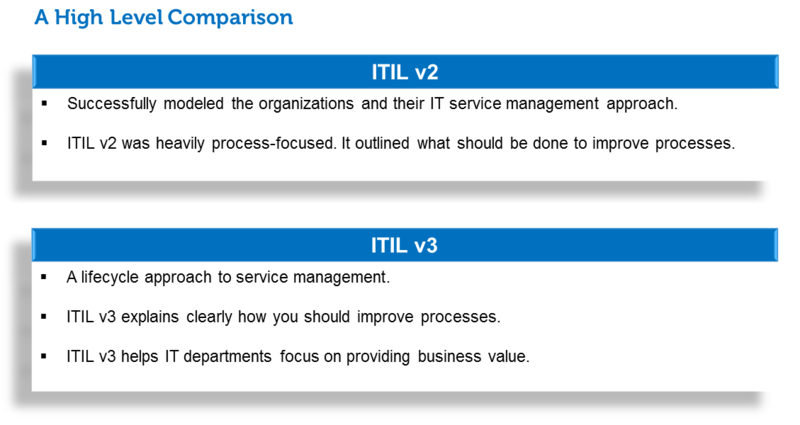 - No major differences between ITIL v2 and ITIL v3. - No material changes from v2. - However, in ITIL v3, the Service Review activities are part of Continual Service Improvement. - ITIL v2 provided guidance on IT Security Management in a separate book. - ITIL v3 treats IT Security Management as part of the Service Design core volume, resulting in a better integration of this process into the Service Lifecycle. - The process was updated to account for new security concerns. - Supplier Management was covered within ICT Infrastructure Management in ITIL v2. - In ITIL v3, Supplier Management is part of the Service Design process to allow for a better integration into the Service Lifecycle. - In ITIL v2, the Service Level Management process only mentioned the concept of a Service Catalogue. - There was no process outlined for the creation or maintenance of a service catalogue, nor was the distinction made between a business catalogue and a technical catalogue. - ITIL v3 takes this concept further, introducing a dedicated process to ensure that the Service Catalogue is up-to-date and contains reliable information. - It introduces a clear distinction in the Service Catalogue between Business Services and Supporting Services. - In addition, ITIL v3 identifies the need for two interdependent parts of the service catalogue, namely an “external” business catalogue of services and an “internal” technical catalogue of the tools, processes and procedures required to support those services. The Service Transition Volume provides guidance for the development and improvement of capabilities for transitioning new and changed services into operations. - The activities and process objectives of the Change Management process are identical in ITIL v2 and v3. - ITIL v3 introduces "Change Models", putting more emphasis on defining different types of changes and how they are to be handled. - Emergency Changes in ITIL v3 are authorized by the Emergency Change Advisory Board (ECAB), which was earlier known as the Emergency Committee (EC) in ITIL v2. - The activities and process objectives of the Release and Deployment Management process in ITIL v3 are identical to Release Management in ITIL v2. - Many aspects of Knowledge Management were covered by various processes in ITIL v2. - However, in ITIL v3, it has now been added as a new independent process. - ITIL v3 defines Knowledge Management as the one central process responsible for providing knowledge to all other IT Service Management processes. - It includes information about assets and configuration items, as well as organizational policies and news. - It helps improve the quality of decision making by ensuring that accurate, reliable and trustworthy information is available throughout the Service Lifecycle. - ITIL v2 did cover some aspects of Release Testing under Release Management. However ITIL v3 provides considerably enhanced guidance. - In ITIL v2, ‘Evaluation’ was discussed implicitly as part of various processes. - However in v3, Evaluation has been made a process itself. - It provides a consistent and standardised approach to determining the performance of a service change, relative to the predicted as well as agreed to performance targets. - ITIL v2 covered some aspects of this process under Release Management, but ITIL v3 provides considerably enhanced guidance. 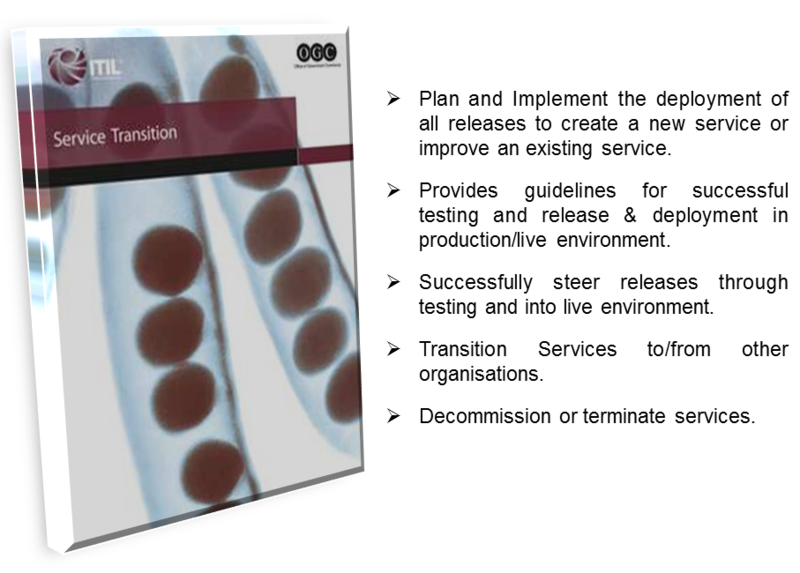 - Transition Planning and Support in ITIL v3 is actually about managing service transition projects. - ITIL v3 does not provide a detailed explanation of all aspects of managing the Service Transaction Projects. - It highlights the most important activities and assists in identifying interfaces with the other Service Management processes. 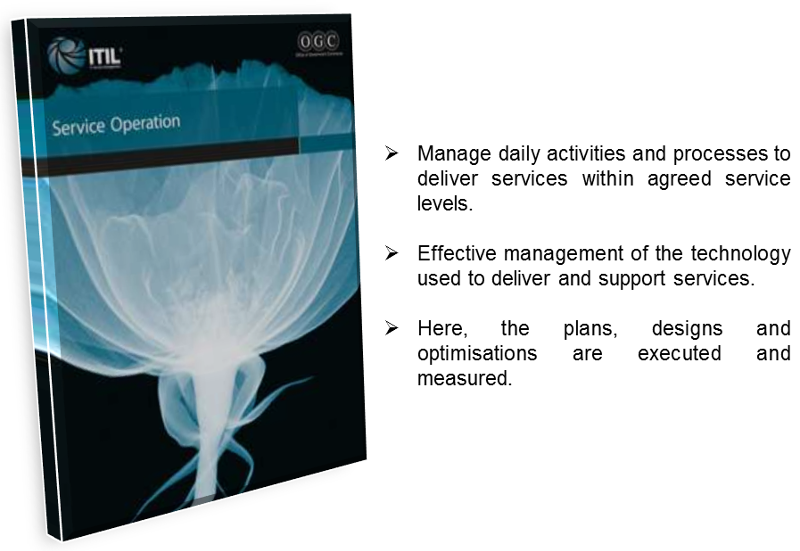 The Service Operation Volume embodies practices in the management of service operations. - In ITIL v2, Access Management was covered in the Security Management Book. - ITIL v3, details the process for granting authorized users the right to use a service, while restricting access to non-authorized users. - In ITIL v2, Event Management was covered under Incidence Management. - Though, activities and process objectives of the Event Management process are broadly identical in ITIL v2 and v3. - However, ITIL v3 sees Event Management as an important trigger of the Incident and Problem Management processes. Hence it has been made a standalone process, for detecting and managing events and alarms. - In ITIL v2, this process was covered under Incidence Management. - Request Fulfillment was added as a new process to ITIL v3 with the aim to have a dedicated process dealing with Service Requests. - This was motivated to provide a clear distinction between Incidents and Service. - As in ITIL v2, ITIL v3 also describes in detail all the Types, Best Practices and Roles & Responsibilities related to a Service Desk. - Technical Management is a new function added to ITIL v3. - The role of the technical management function is to provide technical expertise and overall management of the IT infrastructure. - The objective of this function is to provide technical skills to support the IT Services and the management of the IT Infrastructure. - It defines the roles and responsibilities of support groups, as well as the Tools and Processes required for Service Management. - IT Operations Management is a new function added to ITIL v3. - The focus of this function is on the day-to-day, short-term activities required to operate and support IT services. - These operational activities are performed over relatively long periods of time and emphasize executing repeatable, standardised procedures. - It includes Operations Control and Facilities Management. - Applications Management is a new function added to ITIL v3. - This new function supports and maintains operational applications that support an organization’s business processes. - It also helps in identifying the functionality and provides guidelines on how to manage the requirements for software in the application portfolio. It also provides Roles and Responsibilities for the deployment, support, and improvement of those applications. 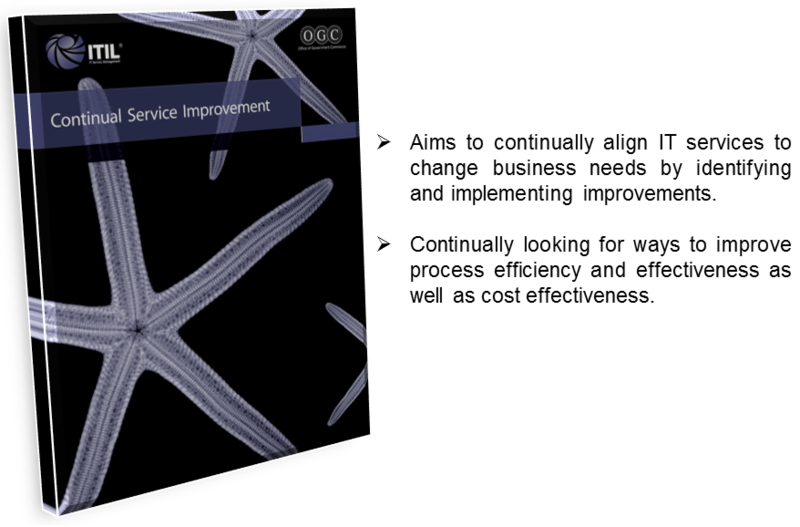 The Continual Service Improvement Volume provides instrumental guidance in creating and maintaining value for customers through better design, introduction and operation of services. It combines principles, practices and methods from quality management, change management and capability improvement. - In ITIL v2, all these 3 processes were described under Service Level Management process, for example holding Service Reviews and managing a Service Improvement Plan. Thus, we see that in ITIL v3, the methodology or the philosophy of ITIL has changed into a service driven lifestyle that is more closely aligned with the business strategy. While ITIL v2 simply suggested “what should be done to improve processes”, the ITIL v3 now clearly explains “how we should go about doing it”. The intent throughout is to enhance the applicability of ITIL and keep it current as per changing IT Industry and Service Management requirements.